Can a changing climate hamper hydropower’s role in the shift to a low-carbon future? In a world struggling to meet a growing demand for energy while also managing carbon emissions, hydropower is a source of hope. Though massive dams and reservoirs can take decades and billions of dollars to construct, not to mention have a negative impact on fragile ecosystems, generating hydroelectricity is relatively clean and low cost when compared with other energy sources. It’s also a very flexible form of electricity production – unlike most fossil fuels and renewables, it can be ramped up and dispatched quickly. For these reasons, hydropower is expected to continue to be a critical part of a low-carbon future. According to the International Energy Agency (IEA), hydropower contributes up to 16 per cent of electricity generation worldwide and about 85 per cent of global renewable electricity. Big projects are coming online in India, China and Ethiopia (to name a few), and IEA reports that emerging economies have the potential to double hydroelectric production by 2050. But what happens when rivers slow to a trickle, or reservoirs dry up? 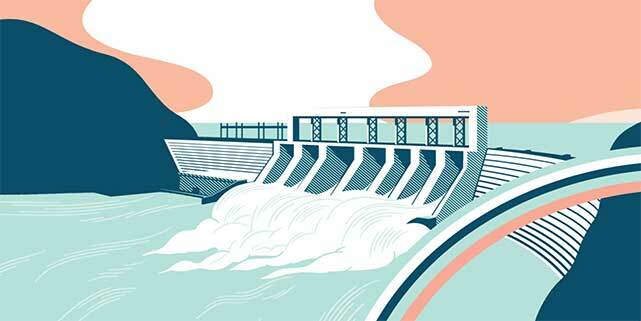 Can climate change, or even natural hydro-climatic variability, hamper hydropower’s potential? Looking to the southwest, California’s current climatic conditions call this promise into question. Over the past few years, less rainfall, less snowpack in the mountains and earlier snowmelt have caused reservoirs to drop well below safe levels. Not only does extended drought limit hydro production in the state – last year California generated only half of its average contribution – it exacerbates dependence on fossil fuels, such as natural gas, and escalates competition for an increasingly scarce water supply. If there’s a silver lining, it’s that the crisis of extreme drought has pushed some affected countries and regions to advance other renewables in order to meet demand. Brazil, which depends on hydropower for 85 per cent of its electricity, is looking at solar more seriously, and in 2014, wind generation surpassed hydro in California for the first time. One of the organizations helping the hydropower industry adapt is Ouranos, a Montreal-based research consortium that develops knowledge on climate change, its impact, and related vulnerabilities to inform decision-makers about trends and advise them on adaptation strategies. 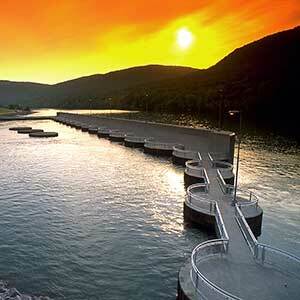 Raccoon Mountain pumped-storage plant, Tennessee. The sector’s investment in robust climate research and longer-term projections is better preparing its players to make informed decisions about construction, maintenance and operations on a regional basis. These data are also helping big hydro think of other renewables, like wind and solar, as not just supplemental contributors to the clean energy mix but integral parts of its own systems. 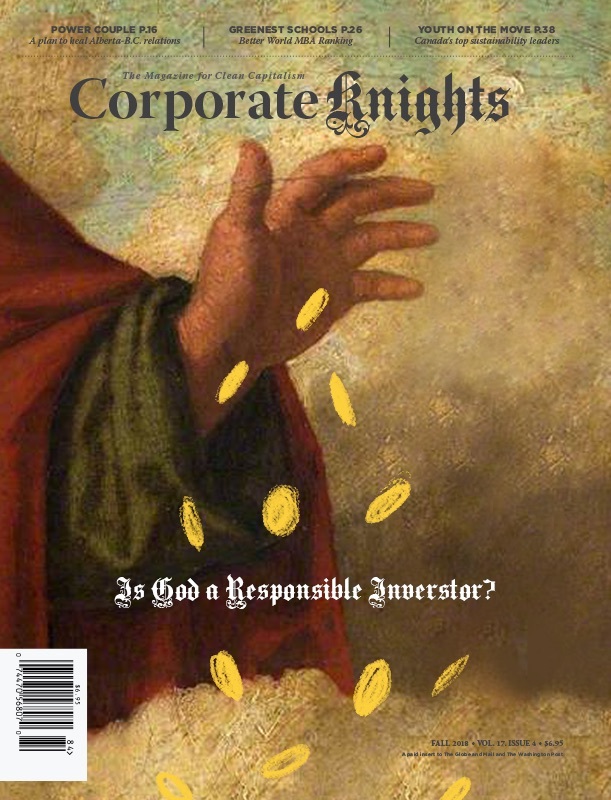 In fact, “renewable synergies” are more than just interesting – they have the potential to become big business. According to the International Hydropower Association’s 2015 Hydropower Status Report, the world’s largest solar-hydro hybrid station was connected to the grid in 2014. In China, a 320-megawatt solar park complements the output of the existing 1,280-megawatt Longyangxia hydropower station. Despite forecasts and trends, the world’s energy future remains uncertain. But Irving says having hydropower as the backbone for renewable energy systems is “incredibly advantageous.” While there is no doubt that drought can have a negative impact on hydroelectricity production, climate variability is also pushing the sector to make better decisions and, in the process, advance other renewable energy sources. With the right balance of knowledge and innovation, hydropower stands a chance.